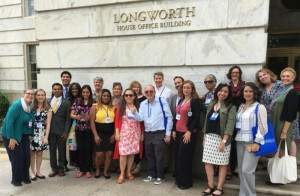 In June, leaders in integrative care and advocacy met at the Integrative Medicine for the Underserved (IM4US) Conference on Capitol Hill. IHCP was honored to support the organizations first ever congressional briefing, Non-drug Solutions to Opioid Use and Chronic Pain Management in Underserved Populations. IM4US fundamentally believes that healthcare is a right, not a privilege. The organization advocates to preserve those rights and promote the benefits of Integrative Medicine and the impact it can have on not only improving health outcomes for chronic diseases, but also in addressing the opioid epidemic. The event, held at George Washington University (GW) School of Medicine and Health Sciences (SMHS) and the Milken Institute School of Public Health, attracted hundreds of experts in integrative care who shared practical ways of making people healthier, and discussed sustainable care models that make integrative health care more accessible. The conference attendees learned about affordable integrative approaches to common health conditions, shared evidence-based best integrative practices, and what does and doesn’t work when it comes to advocating for integrative medicine for the underserved. Next year’s event will be held in San Francisco. For more on the organization and the toolkit it designed for healing professionals interested in working in underserved settings, go to im4us.org. Act Today! Your Voice Can Make the Difference. The IAM4US congressional briefing on alternatives to opioids for chronic pain management is just one of the ways that IHCP is advancing awareness about integrative care, The only way to really make this happen, is for you to enlist your elected officials to join the Integrative Health and Wellness caucus. Constituent phone calls are effective in making change. Don’t hesitate! Click here for more information to make your call. 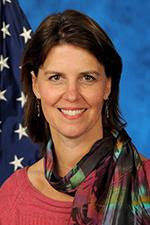 Medical Acupuncture, Dr. Gaudet discusses with John Weeks, how she and her colleagues have worked to change the culture of the Veterans Administration. Her work is relevant to all practitioners who wish to change communication patterns and organizational “wellness” to improve the workplace interactions, physician burnout and patient outcomes.